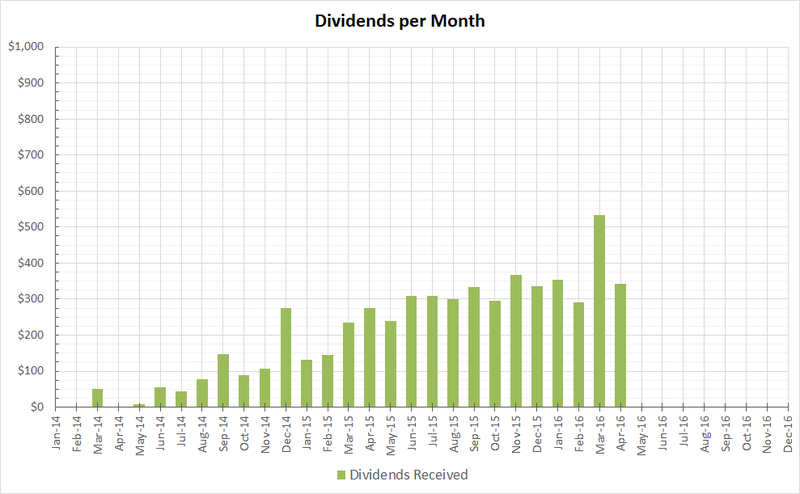 I received $341 in dividends in April. My dividends have not been growing lately because I have been saving up cash to purchase a place to live. Compared to last year's April month, this year's April is around 24% more. So not too shabby.